A day spent unleashing your dog's inner Lassie is also a great way to share some quality time with your children. Although it does depend a little on the breed of your dog and its temperament, most canines can be taught a new trick in less than a day. So you live in the city and still want the fun of having a dog for a pet? Puppies are always cute, adorable and loving, but the challenges of urban puppy training can sometimes become stressful and overwhelming. These past few weeks have been busy for everyone in our rally group so we couldn't get together for a class. One of our trainers loaned me a set of rally signs to practice with which made a huge difference. Instead of trying to remember the many different signs to practice, I now had the visual tool I needed to practice each one properly. Since I work during the day and it's dark by the time I get home I had no choice but to practice inside. Every night I would take several signs and scatter them on the floor throught the house so Kirby and I could run through them off and on throughout the evening. Purchasing a full set is expensive so I decided to make my own signs which is really simple. Since we are just starting out in rally I can laminate the signs we are currently using with plans to laminate the rest of the signs as we need them. Step 1 - The AKC website has a complete set of rally signs to print out which can be found here. I purchased some cardstock but it wouldn't feed through my printer so I printed the signs on regular copy paper. If your printer will take cardstock then print the signs on it. Some of the rally signs are changing in April of this year so if you get your signs somewhere else be sure you are using the right ones. Step 2 - Some of the signs can be confusing so print the instructions for each sign which can be found here along with the new 2012 regulations. Step 3 - Cut out and tape the instructions for each sign on a single piece of copy paper to hold it in place. I placed them at the bottom right but you can place them anywhere you want. Step 4 - Take a rally sign and place a piece of cardstock behind it to make the sign sturdy. Then take the matching instructions and place that behind the cardstock facing out. Step 5 - Slide the lined up papers into the laminating pouch and seal following the instructions. Be careful to do this step slowly so as not to wrinkle the papers since you will not get a second chance. I purchased Scotch laminating pouches which cost $28.00 for 25 pouches so you can choose to use plastic sheet protectors to save money. The finished signs are bulky but can be easily stored in a plastic accordian type file folder. The final step is how to use them. The laminate makes them a cinch to wipe clean so you can simply lay them on the floor or yard. At rally class the signs are clipped to the top of orange cones. At the trials I noticed that each sign had a strip of velcro on the back which would stick to the velcro strip on each cone. I like the cones which Doug said he thinks he can find really cheap through contacts in his line of work. Otherwise they may prove to be cost prohibitive so instructions to make homemade sign holders I found using wire garden fencing can be read here. If you are doing rally then these signs will come in handy for those home practices. Even if you don't plan to compete these signs can still be used in your backyard as training tools. Either way it's a great way to bond with your dog. Let the games begin! The local AKC Club sponsors a yearly AKC Show at the horse park each January. This year they allowed mixed breeds (Canine Partners) to compete in the rally and obedience trials. We have been taking rally and obedience training classes off and on for about a year now so we decided it was time to test Kirby in his first trial. Our boy had a 'can do' mentality even though he held his ears back most of the time we were at the dog show, a sign he is intimidated. The vast majority of dogs were quite large so he kept his eyes and body pretty much glued to me the entire time. Whenever we were sitting he insisted on sitting in my lap turning his head to nuzzle me now and then for reassurance. His demeanor showed he was on alert except the times we took him outside for potty breaks. He loves to play with the big dogs but at class and at this dog show, the dogs seem to know it's time to work. Kirby gets to play with the large dogs at the end of class. Here, he seemed to understand these dogs didn't play. First, what is AKC Rally? Rally is a sport in which the dog and handler complete a course of designated stations (10 - 20, depending on the level) with a sign providing instructions for the required skill to be performed. The team of dog and handler move at a brisk but normal pace to complete the entire sequence of numbered signs correctly. Handlers are permitted to talk, praise, encourage, clap their hands, pat their legs, or use any verbal means of encouragement. Multiple commands and/or signals using one or both arms and hands are allowed, however the handler may not touch the dog or make physical corrections. Second, what is a rally trial? The official announcement of a club's event is called a premium list which contains all relevant information regarding the trial, including date, location, classes offered, and judges – as well as an entry form. A qualifying performance indicates that the dog has performed the required exercises according to the AKC Rally Regulations. Each performance is timed but times are only counted if two dogs earn the same score. All dogs and handlers begin with a perfect 100 with deductions made for errors or incomplete stations. A team can be disqualified if Fido decides to soil the ring, a Handler appears to be intimidating to the dog, or a dog is determined to be aggressive. The team is awarded a qualifying score with a green ribbon if it scores at least 70 points after the course has been completed. Novice is the first level for those just getting started in competition. Advanced is the second level with more difficult exercises throughout the course. Excellent is the third and highest level of AKC Rally and is the most challenging. Besides earning the Green Qualifying Ribbons, teams also win placement ribbons in each level. Finally, how did Kirby do? He was fantastic! Me, I was terrified. I felt a lot of pressure to do well since our trainer and several class mates were there. We arrived early to get a feel for everything and watch some of the breed competitions. Our trainer was there and really scared me with, "I don't want to scare you but Kirby is registered in the Obedience Trial". OMG! That would mean he has to do a trial with no leash and only words. Total panic has set in so we decide we have to go talk to the Superintendent who pulls our entry form and rectifies the problem since I did, thank God, enter him corrrectly in rally. By the time Kirby competed that afternoon he had become comfortable with the noises and activities going on around him. He finally had a chance for some quiet playtime with one of his friends, Heaven, the little Havanese he fell in love with at our agility classes this past summer. Her mom was helping with the activities and had brought her to get her used to the hustle and bustle of a show. We ran our very first trial on Saturday, January 14, 2012, earning a score of 88. It was a bittersweet moment. When the judge announced our score I almost cried tears of joy. We did it! Kirby received his first Green Qualifying Ribbon, or leg as it’s called, and a red Second Place Ribbon. Then I was so disappointed with myself when the judge asked if I wanted to know how I reduced the score from a 98 to an 88. The very first station was a “Move Forward from a Sit”. I walked fast causing Kirby to run but I should have been running. It doesn’t seem fair to me since Kirby would have to run extremely fast compared to larger dogs but it is what it is. My little heart dog gave his all and I, the human, cost us 10 whole points! We went back to run our second trial on Sunday, January 15, 2012, where Kirby and I earned a score of 89 to receive his second Green Qualifying Ribbon and a red Second Place Ribbon. This time it was a different judge with a different layout. One more Green Qualifying Ribbon will give Kirby the necessary three ribbons to earn his Novice Rally title. I really enjoy rally. Kirby just thinks he's doing lots of different tricks like we always do. I did get tickled teaching him a new hand signal for DOWN. I have always pointed my first finger touching the ground but that's difficult in Rally when there will be times I have to give him that command from across the room. Our new hand signal is I raise my right arm palm facing down straight out in front of me and then lower it while saying "down". For a while everytime I gave the new hand signal Kirby would wave his paw 'back' at me before going into a down. I had just purchased my new camera so we had a lot of problems with pictures - seems we had it on the video setting! So most of the amazing pictures we thought we had turned out to be little second long videos but we do have a video taken of the rally trial on Sunday with the old camera. I have to say rally is a great way to bond and teach, both dog and owner. I’m learning how to better communicate with Kirby so he understands exactly what I want from him which pays off on so many levels. This is Kirby's registered official AKC (American Kennel Club) name. 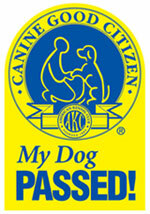 The CGC is his very first earned AKC title which stands for Canine Good Citizen. Most dogs earn this title at a young age, usually by age one, so at three years old Kirby is a little late but we have just now had the opportunity to take the test because (1) we live in a rather rural area, and (2) the AKC Club here just recently opened their doors to mixed breeds. When we arrived at the dog show where the test was being given, the first thing I noticed was that Kirby was the ONLY dog wearing a sweater. We were the obvious newbies so even though it was very cold in the building off it went to hide in his bag. You may notice I kept my coat on. We had to do things like meet other people with dogs or I got petted or brushed. All I had to do was be a nice doggie. Mama telling me I passed. I knew I would! The CGC TEST consists of 10 skills needed by all well-mannered dogs with all of the exercises done on a leash. Test 1: Accepting a friendly stranger - The dog will allow a friendly stranger to approach it and speak to the handler in a natural, everyday situation. Very easy since Kirby is used to going to public places. Test 2: Sitting politely for petting - The dog will allow a friendly stranger to pet it while it is out with its handler. Very easy since Kirby is used to people, especially children, wanting to pet him. Test 3: Appearance and grooming - The dog will welcome being groomed and examined and will permit someone, such as a veterinarian, groomer or friend of the owner, to do so. Seriously, the Kirbster loves a massage! Test 4: Out for a walk (walking on a loose lead) - The handler/dog team will take a short “walk” to show that the dog is in control while walking on a leash. Very easy since Kirby is used to walking on a leash. Test 5: Walking through a crowd - The dog and handler walk around and pass close to several people (at least three) to demonstrate that the dog can move about politely in pedestrian traffic and is under control in public places. Very easy since Kirby is used to going to public places. Test 6: Sit and down on command and Staying in place - The dog will respond to the handler’s commands to 1) sit, 2) down and will 3) remain in the place commanded by the handler (sit or down position, whichever the handler prefers). This one became complicated. I put Kirby in down position where he waited then I walked to the farthest corner as instructed. The evaluator called me back and said she wanted me to walk straight ahead to the fencing. I again placed Kirby in down and did as she asked. Again she called me back and said she wanted to use a measuring string which she had to untangle and stretch across the floor. So once again I placed Kirby in the down position and walked to the mark on the string. Kirby is used to this exercise but all the changes were confusing causing him to stand up this last time before I called him. I had to give him the command for down from where I was standing which he promptly did. Test 7: Coming when called - The dog will come when called by the handler. The handler will walk 10 feet from the dog, turn to face the dog, and call the dog. With the complications I mentioned in Step 6 this part was incredibly easy and funny because when I said COME Kirby ran like the wind to get to me. He has to stop and sit directly in front of my feet - he was running so fast he literally slid into the stop touching my legs! Test 8: Reaction to another dog - To demonstrate that the dog can behave politely around other dogs, two handlers and their dogs approach each other from a distance of about 20 feet, stop, shake hands and exchange pleasantries, and continue on for about 10 feet. Very easy since Kirby is used to meeting people with their dogs in public places. Test 9: Reaction to distraction - To demonstrate the dog is confident when faced with common distracting situations, the evaluator will select and present two distractions. Examples of distractions include dropping a chair, rolling a crate dolly past the dog, having a jogger run in front of the dog, or dropping a crutch or cane. Very easy since Kirby is used to loud noises such as fireworks and motorcycles. The only problem would have been if someone was riding a bicycle which to Kirby just seems so wrong! Test 10: Supervised separation - This test demonstrates that a dog can be left with a trusted person, if necessary, and will maintain training and good manners. Evaluators are encouraged to say something like, “Would you like me to watch your dog?” and then take hold of the dog’s leash. The owner will go out of sight for three minutes. I did panic on this one because as I went around the corner I could hear him barking. The person holding him knows us and later told me he barked once when I disappeared but then saw Doug standing nearby and barked more until Doug quickly disappeared. Once he couldn't see either of us he did stop barking. It was obvious to the evaluator that he was on alert looking in the direction we went but sat quietly for the next three minutes. We paid $20.00 to take the test. Once he passed we were given a form to mail in along with $8.00 to receive his certificate by mail. So for $28.00 and some simple exercises the Kirbster has his very first AKC title. I have to mention how much this title means to me. We know Kirby is a well trained dog with a calm demeanor. We know he is an excellent teacher and mentor for our foster dogs. I began training Kirby to behave and do tricks from the time I brought him home at six weeks old (he could sit on command at 7 weeks). I wanted to do the AKC Star Puppy and the AKC Canine Good Citizen when he was a puppy but was not allowed since he isn't a purebreed. To finally be allowed to let this amazing little guy prove how smart and good he is just means so much to me. Kirby may never become a champion on paper but he is the champion of my heart! He is my heart dog! Heel, sit, come around, stop, sit, heel, stop, sit, down... Good Boy Kirby! 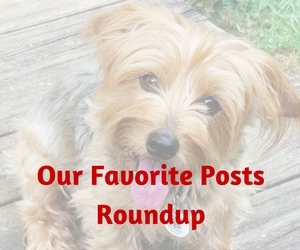 We all know the American Kennel Club (AKC) from their various high-profile shows which include the Westminster Kennel Club Dog Show, The National Dog Show, and the AKC/Eukanuba National Championship. 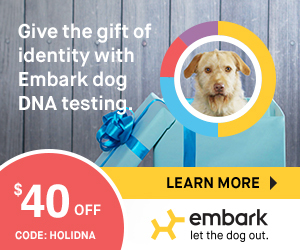 They are the official registry for purebred dog pedigrees in the United States. About a year ago Kirby was allowed into the hallowed halls of the American Kennel Club. He isn't a mutt because we know his parentage but he is a hybrid, a mix of two pure breed lines, Dachshund and Yorkie. He is registered with the Continental Kennel Club but could never be registered with the AKC since they only allow purebreds. Rally obedience, or "Rally-O" as it's commonly called, is a fun obedience activity that combines elements of obedience and agility. It is more relaxed focusing on attitude and enthusiasm while the variety of exercises and courses allows you to show off your versatility and teamwork. The courses are designed by a judge and are different in every trial since judges can design their courses by choosing from more than four dozen signs that direct handlers and dogs to perform specific exercises. A sign at each station or stop gives instructions each dog/handler team must execute such as go fast or slow, halt (dog must sit at heel), make turns and circles, reverse direction, or a sit-stay-recall. Once the judge gives the command "forward" the dog and handler complete the course on their own without further commands from the judge. Handlers can use treats or toys in the ring to encourage their dogs at the novice and advanced levels. Encouragement is also allowed at the excellent level but handlers can’t pat their legs or clap their hands. Novice – on leash exercises that demonstrate the dog's understanding of basic commands such assit, stay, down, come and heel. Advanced - a setof exercises performed off-leash that includes at least one jump. Excellent - amore difficult off-leash course that includes at least one jump anddemonstrates more precise skill and coordination between the dog and handler. The Golden Triangle Kennel Club of Mississippi headquartered here in Starkville began allowing mixed breeds to attend rally and agility training alongside the purebreds last year. January, 2012 will mark their first dog show allowing Canine Partners to actually compete with the purebreds. Kirby and I have been attending classes off and on over the past year with great success. He picks up really fast. We work on his tricks almost every night anyway so I think rally to him is a game comprised of a variety of tricks. One important thing we learned is Kirby has a specific collar and leash he wears only during class or when we are practicing. This signals to him that we are “working”which helps him stay focused in a calm watchful manner. Hopefully this will work when he does his first competition. Our classes alternate between obedience training and rally training. A funny incident happened one night at class not too long ago. All the dogs were waiting in the down position at one end of the room witheach of us standing directly across the room from them. Two dogs next to Kirby got into a ruckus growling at each other. Kirby was frightened but staying in the downposition, he began crawling across the floor toward me as quickly aspossible. I met him halfway scooping upa very relieved pup! Each class lasts roughly an hour. Kirby pays attention doing everything I ask of him. The problem is when he is done HE IS DONE. He has gotten to where he will cooperate almost the entire hour but still has days when he stops before the hour is quite up. His signal to me that he is done? He starts jumping at my legs, and if that doesn’t work, he sits and no amount of pulling his leash or pleading will make him cooperate. As far as he is concerned class is over. What I also like is that the dogs aren't really competing against each other so there is a lot of camaraderie and encouragement among everyone. The dogs can place but mostly it's all about the individual scores received from the judge during the competition. I understand Kirby and I must score at least a 70 to qualify. I'm not sure yet what we are qualifying for other than letters which I don't understand. It's just a lot of fun and Kirby seems to love showing me just how smart he is so why not! Any activities we can do together only makes our bond stronger. Is your dog a Canine Partner? Does he/she participate in rally or obedience? I would love to hear your experiences!